Everyone struggles with a case of halitosis (bad breath) once in a while, especially when you wake up in the morning. Fortunately you can often clear this up with a simply brushing of your teeth, gums, and tongue, but sometimes the problem can continue throughout the rest of the day. Bad habits, such as smoking, can worsen your case of bad breath as well as diseases like tooth decay and gum disease. If you’re worried about persistent bad breath, we’ve put together a list of some of our favorite tips to keep your breath smelling fresh all day long. Regular hygiene appointments – A good place to start with maintaining fresh breath is ensuring you keep your regularly scheduled dentist appointments. Getting that plaque and tarter buildup removed is very important to oral health and fresh breath. Brush and floss frequently – We recommend brushing at least twice a day and at least for 2 minutes. Be sure to floss as well to remove any food that’s trapped between your teeth in addition to removing any bacteria films that may have formed on the teeth. Don’t forget your tongue – Brushing your tongue is an important step in keeping your breath smelling fresh. Bacteria tend to hideout out of reach on the back of your tongue. 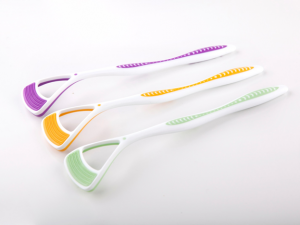 Tongue scrapers are specifically designed to help you clean your tongue, and are an inexpensive tool you can add to your arsenal. Chew sugarless gum – Increased saliva production from chewing gum is an excellent way to wash away the bacteria in your mouth that causes bad breath. 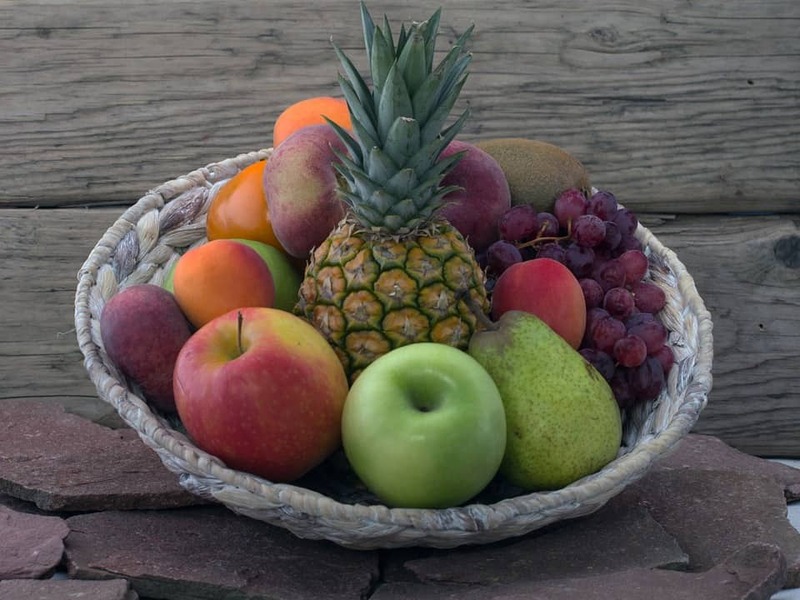 Eat your fruits and veggies – Fruits and vegetables naturally clean teeth while also providing helpful antioxidants that boost your overall health in addition to dental health. Minimize “smelly” foods – We all know what onions and garlic do to your breath. If you have an important event or meeting where you’re worried about the smell of your breath, be sure to avoid these types of foods. Drink lots of water – Making sure you drink enough water throughout the day has benefits for your breath as well. Just like flossing, drinking water will help wash away food particles and bacteria which lead to bad breath. Use an alcohol free mouthwash – Alcohol based mouth washes can dry out your mouth which actually ends up contributing to bad breath. Never replace brushing with mouthwash, use it only as a complement if you must. If you suffer from halitosis and want to fight back, we hope these tips help you keep your breath smelling great! Keep in mind bad breath can be signs of other oral or health problems, so if this persists be sure to give us a call. We’ll help identify anything that may be causing your persistent bad breath including periodontal disease, a sinus infection and more. Posted in Informational and tagged bad breath remedies, halitosis, tips for fresh breath on March 15, 2016 by admin.